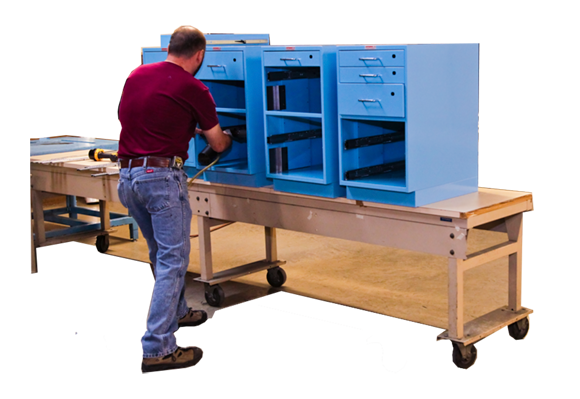 Available assembly and installation services deliver workstation productivity faster. When you are configuring your workstations with your Design Specialist just ask for one of these options to be added to your quote. 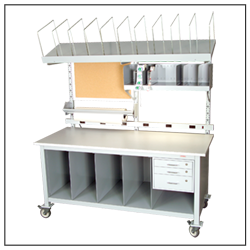 Workstations assembled at our factory is a good choice for free-standing units that are not overly large. Depending on quantity ordered, assembled units are typically shipped via air-ride commercial transport, or in a full-size bench box. The bench box can be shipped via common carrier. Reduce installation time and hassle by opting for our experienced professionals in your area to assemble and install your workstations right on your floor.